When visiting our nation's capital, cast your vote for the full-service comfort and convenience of the Holiday Inn Capitol - Washington DC. Visitors will love our close proximity to the Air & Space Museum, the most visited museum in the world, and the other museums of the Smithsonian Institution. 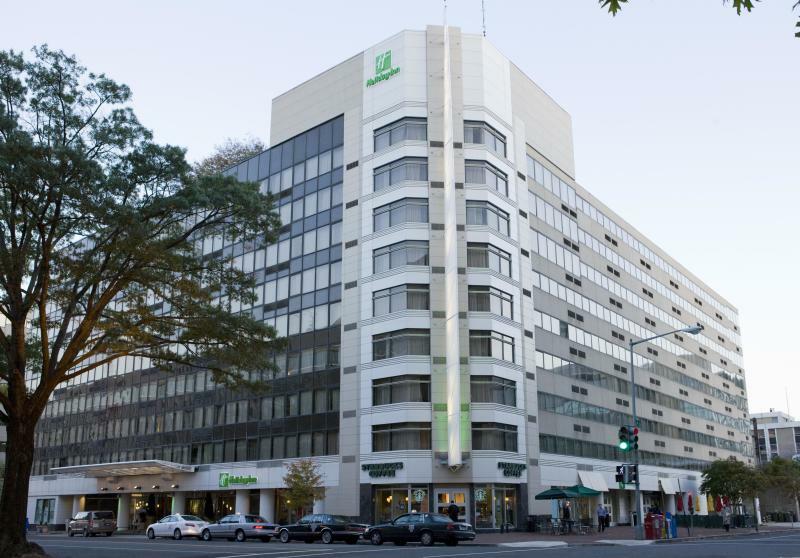 The Holiday Inn Capitol is also within walking distance to the US Capitol, Supreme Court, National Mall and the Monuments. Business and convention travelers will appreciate our central location near the Metro at L’Enfant Plaza and Ronald Reagan Washington National Airport. In addition, there's a full array of recreational opportunities, both on the premises and nearby. Vacationers or Business travelers alike will appreciate our many amenities including: full service bar and restaurant, seasonal rooftop pool, business center, fitness center, gift shop and Starbucks right in the lobby. Our spacious guestrooms feature complimentary internet access and refrigerators in all rooms. We are excited to be beginning a $22 million renovation to be complete by March 2014 to include all guestrooms and meeting space.